A while back I had a coffee with Karel Schuller and he drew a diagram that clarified something that I knew but struggled to explain. It's amazing the power of a good diagram. 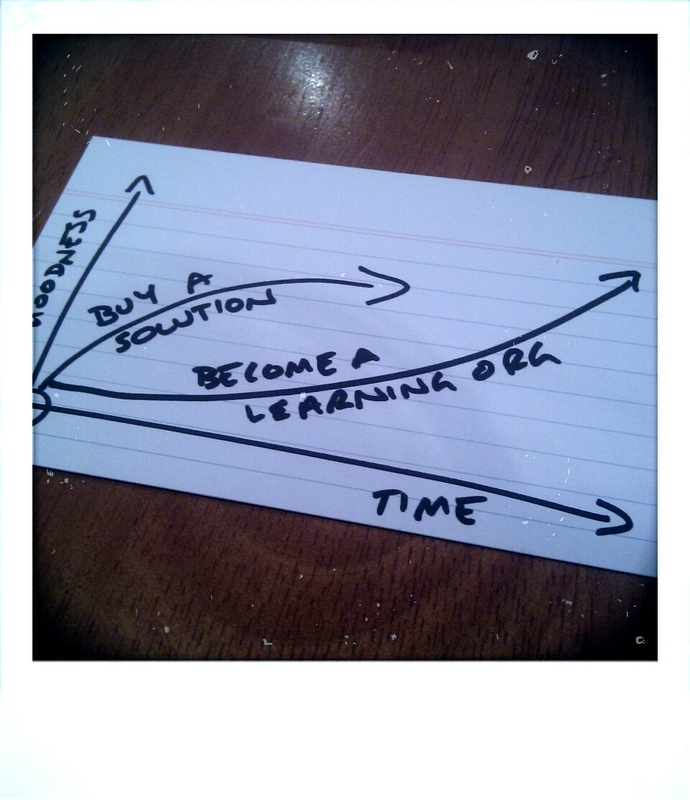 When managing change we make trade-offs. They essentially boil down to understanding whether a change initiative is urgent and whether it is important. If an change is important, don't leave it until the last minute or else you'll be caught in a loop of reactive and shallow changes. True change will remain elusive until you can find the time to nurture it over time.